An elderly female escaped injury during a burglary at a house in Belfast yesterday evening. 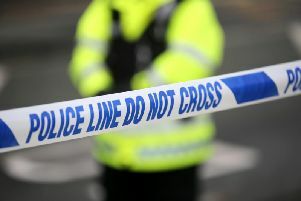 It was reported to police that two men went into the house at the Glencregagh Park area sometime between 5.45 and 7.45pm but made off from the scene without having taken anything. PSNI Detective Sergeant Dane said: “Sometime between 5:45pm and 7:45pm, it was reported that two unknown males entered a house in the area. An elderly female was inside the property during the incident, but was not injured. It is believed that nothing was taken, as the men made off from the scene.